Well, I’m back on the blog train! My mind was derailed a minute with my dad coming home and all. Being a member of the sandwich generation, having to take care of your kids and your parent is hard work…that’s another post for another day though. 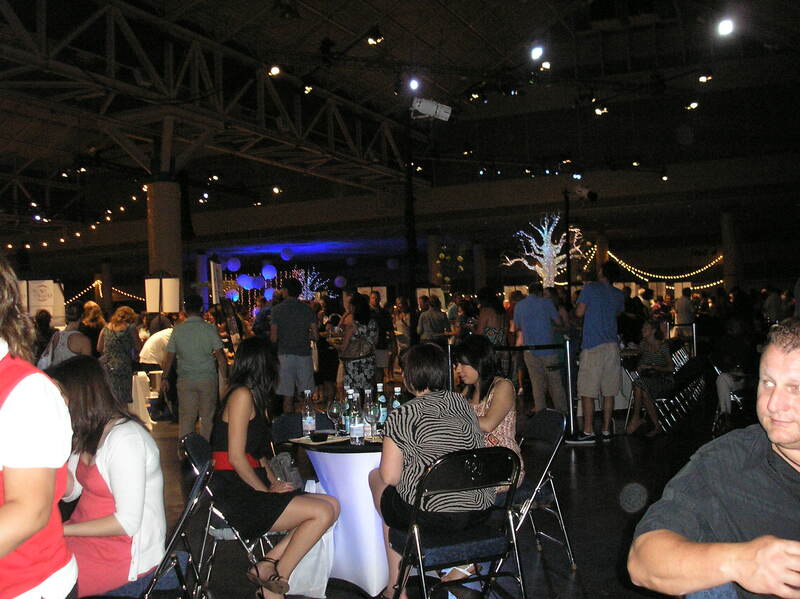 Today, I’m throwing out a post about the Food and Wine Experience I just had at The Convention Center. 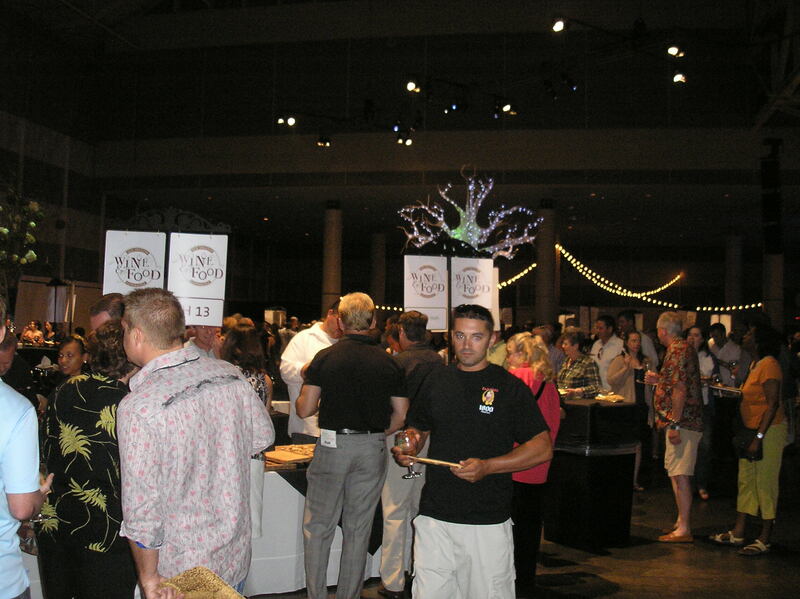 The event was the entire week but, NavySeal and I only went to the grand tasting event. It was truly grand indeed! Good LAWD! 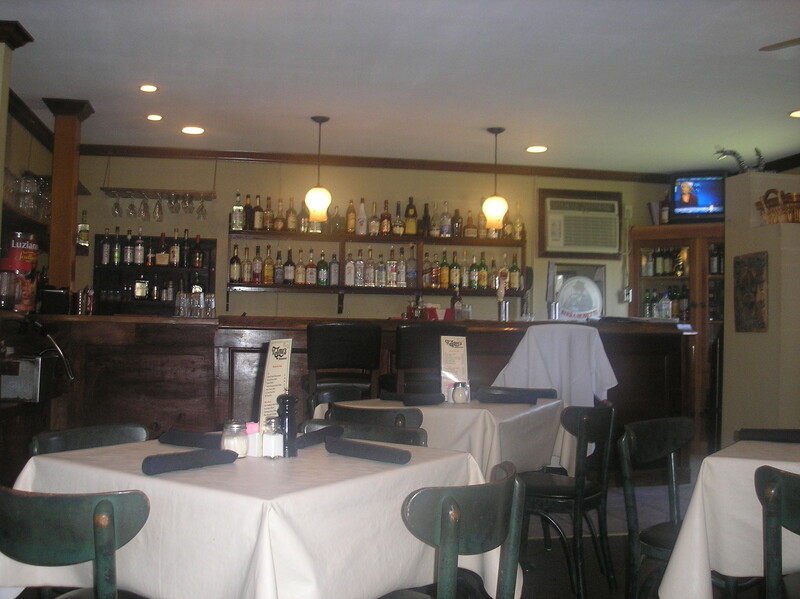 They had so much food and wine in that place…you really have to pace yourself because your senses go into overload. The ambiance was awesome. Low lighting, nice music playing, tastefully decorated, the room temp was perfect which was really appreciated because, they were doing some serious cooking in that joint! When you first arrive, they hand you a wine glass and a small tray for you to put your samples of food on. 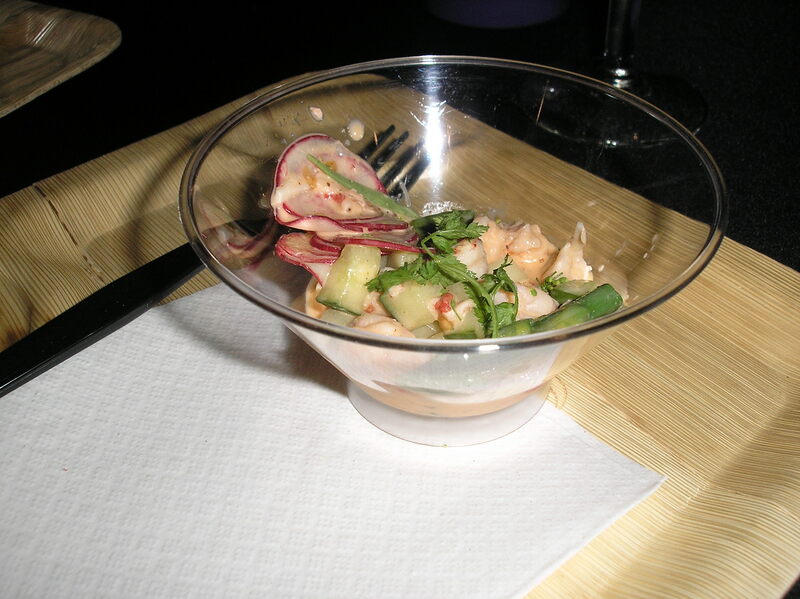 After that, it’s a free fall…sample as many dishes and wines as your little tummy can handle! NavySeal is a wine buff so, he was handling that angle. When I sampled wine, I only took a sip or two and tossed the rest. Ida been drunk within the first 30 minutes of the experience if I didn’t. The experience was three hours long. 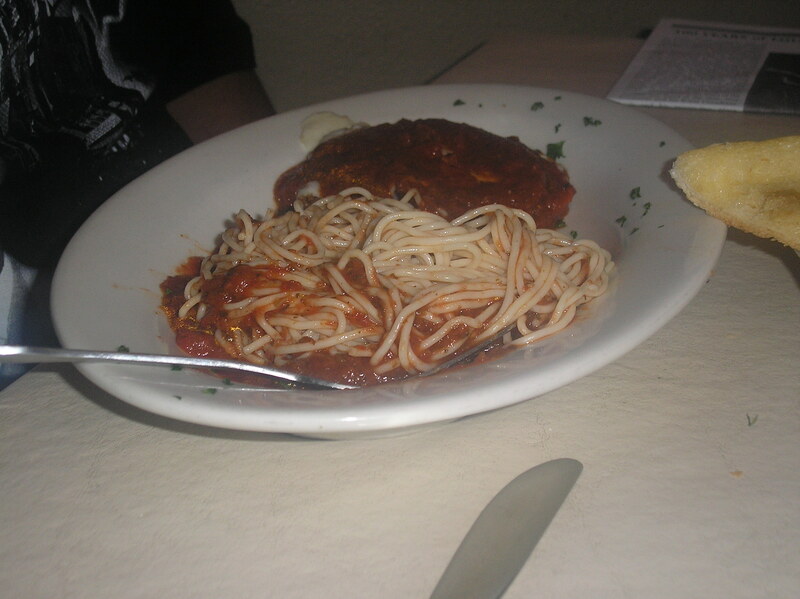 The food on the other hand was another thing! 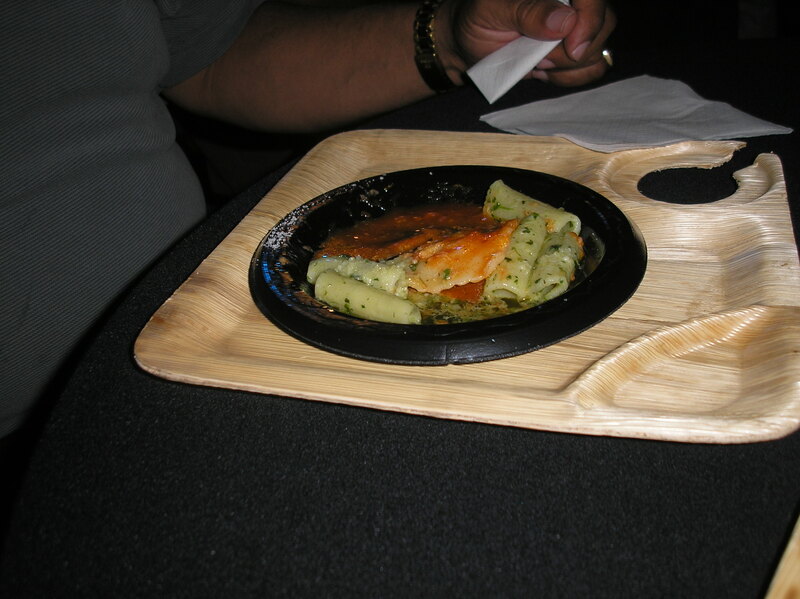 We sampled so many dishes but, this one here was exceptional.It’s a pasta with pesto and ravioli from Andrea’s restaurant. The line was long to get it but, it was worth the wait and the lines moved fast. Here’s a crawfish salad. The flavors were out of this world and it was so cool and crisp…just what we needed because, it was 95 degrees outside. This lil trio is Seafood Gumbo;Warm Apple Tarte Tatin (whatever that means) and Bananas Foster Cheesecake;Wood -Grilled Tomahawk Steak with John Folse Blue Cheese and Mushroom. 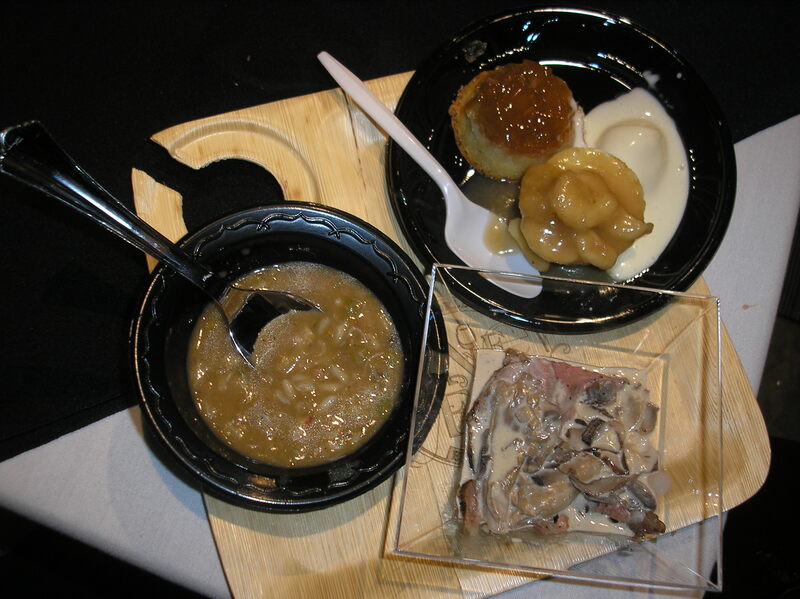 These are some of the award-winning dishes. 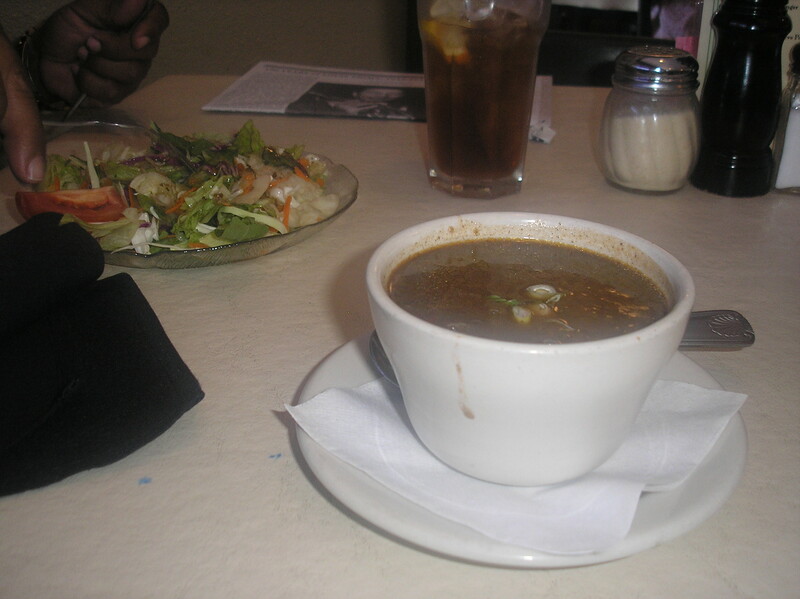 The gumbo was really good but, I didn’t like the steak or the desserts. The only thing the Bananas Foster Cheesecake did was remind me that Brennan’s was in the house with their Bananas Foster! 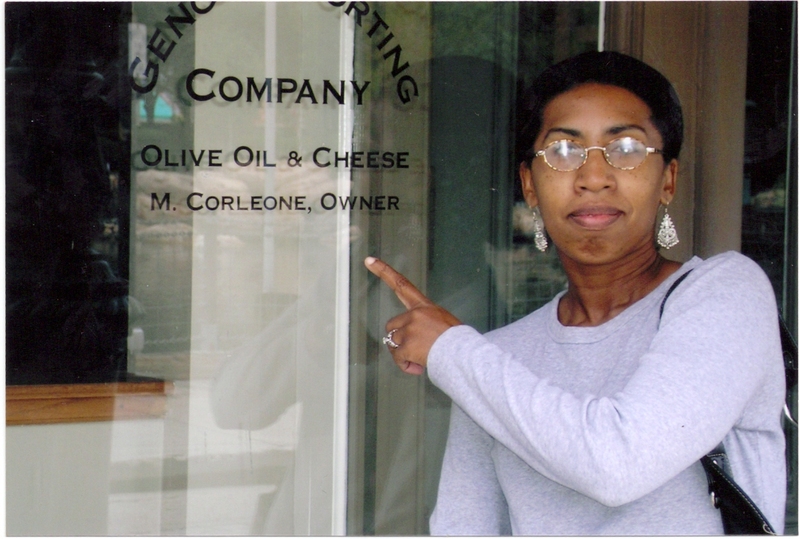 I headed over there for a dish and it was slap yo’ momma good! Nope, no pic of that…I killed it before I could reach for the camera. So many restaurants with so many dishes. This is the one event where you want to walk in there starving! 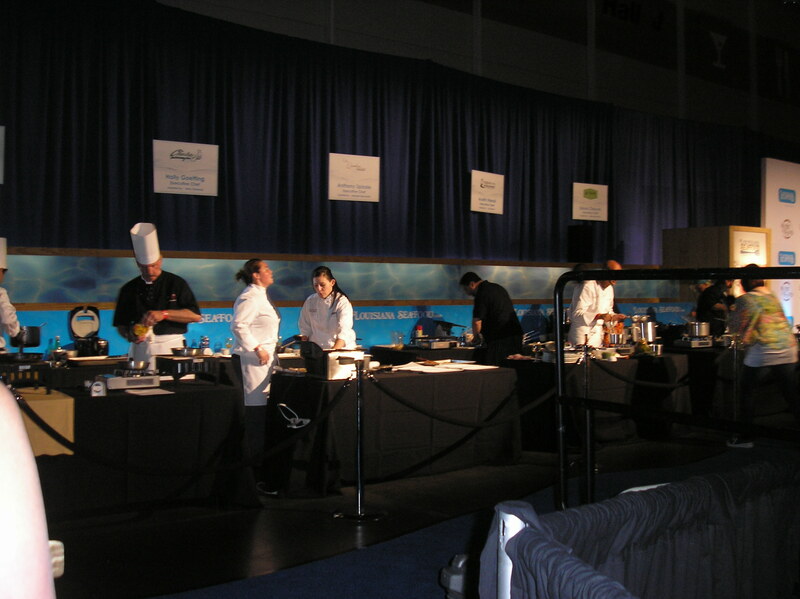 Many of the big name restaurants like Arnaud’s, Mr.B’s Bistro,Commander’s Palace and Galatoire’s participate in this event. 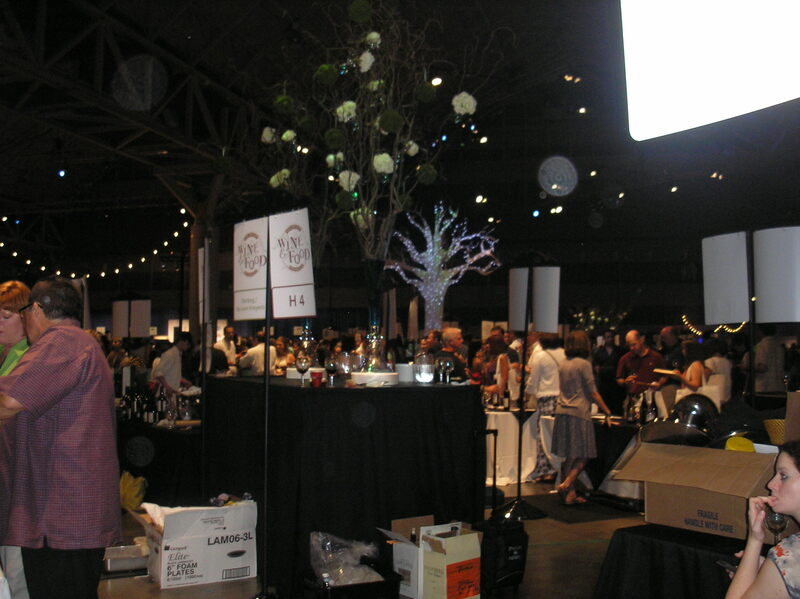 The wines were great as well…I think they had over 1,000 wines there. My favorite was Chassagne-Montrachet…didn’t toss any of THAT one out! Now, I know why it’s called “king of white wines”. The crowd was huge but, they had enough room for everyone to move around freely. My only suggestion would be to have more places for folks to sit…they could have used a few more chairs in there. Next year (yes, I’m already planning for next year), we’re going to add a few more days to our experience. 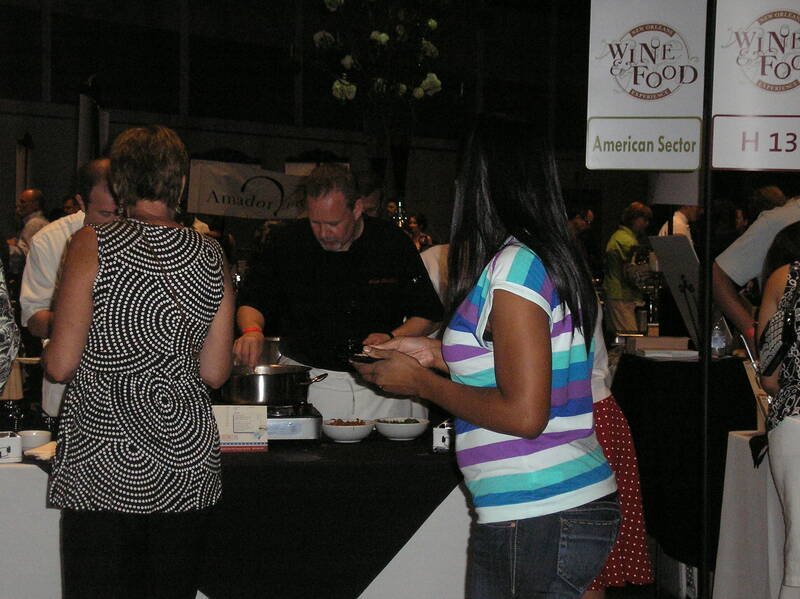 I’d like catch a some seminars and attend the grand tasting event Friday as well as Saturday. Some restaurants were only there on Friday and I’ll be able to catch them as well. 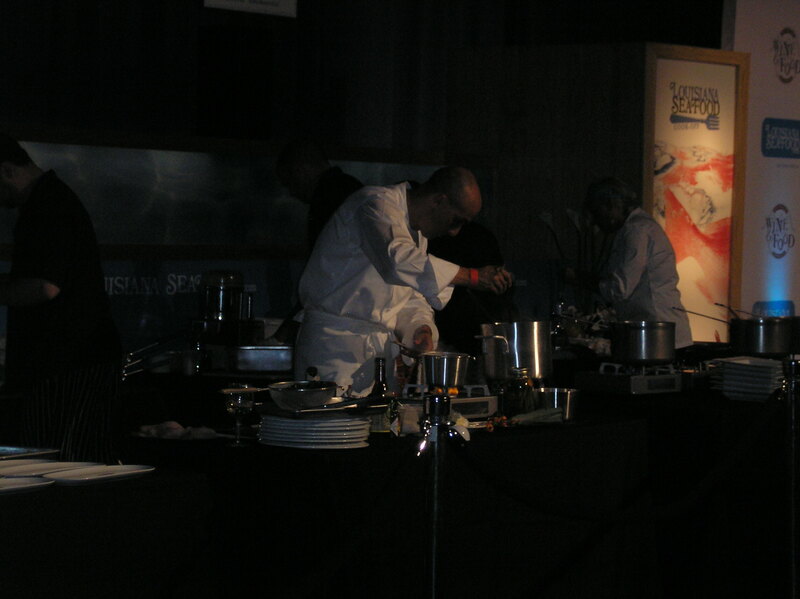 There was a Louisiana Seafood Cook-off going on as well with 10 Chefs competing for the big win. I wish I could tell you who won but, I was too busy grubbin’ to pay attention. The event isn’t free (this one was $90 pp) but, the money all goes to charity…it’s more than worth it. It’s a fabulous way to kill three hours in the city. 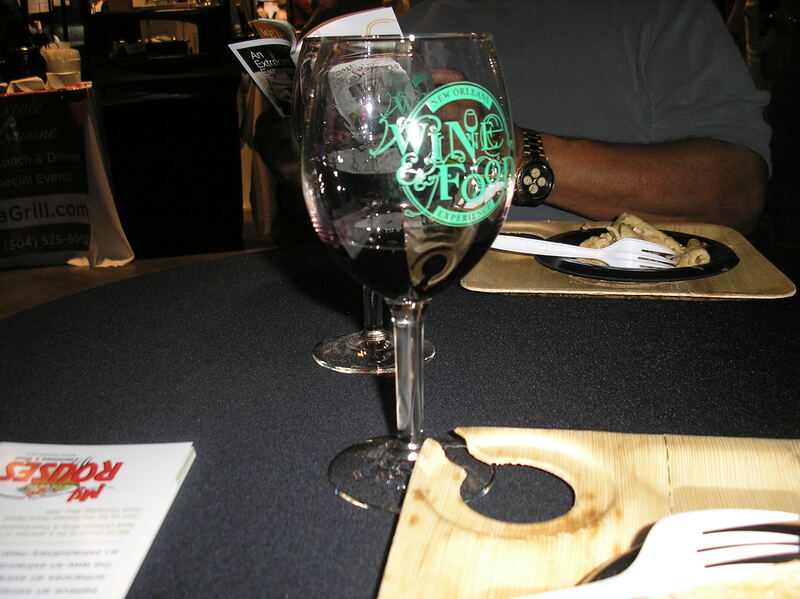 Eating and drinking wine…my life in the Big Easy. My favorite festival,Vieux -To -Do is in two weeks…the trio of festivals. The Cajun-Zydeo, La. Seafood and Tomato Fest all in one in the French Quarters. I got my Zydeco two-step together and I’m ready to go! Now, I just have to teach the hubby so I can have a partner out there…should be interesting. This is a new feature that will appear in the blog. I love to eat out in this fair city so, I may as well take the time to tell yall about where we’re dining and what’s happening there. 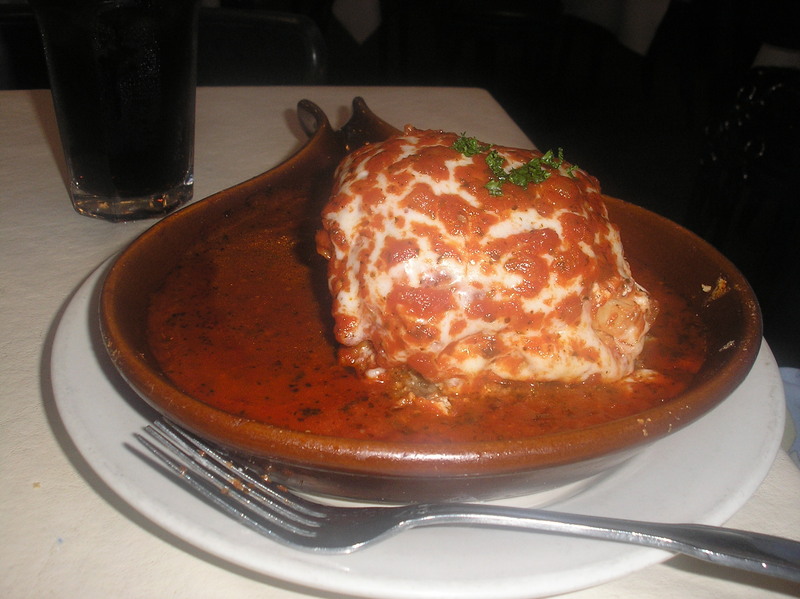 Plus, it gives me an excuse to hit up some really great places to eat! NavySeal was hankering for some “erysters” and since they are really in short supply these days, we went to a place where we knew they’d have some oysters and other fabulous food on the menu. 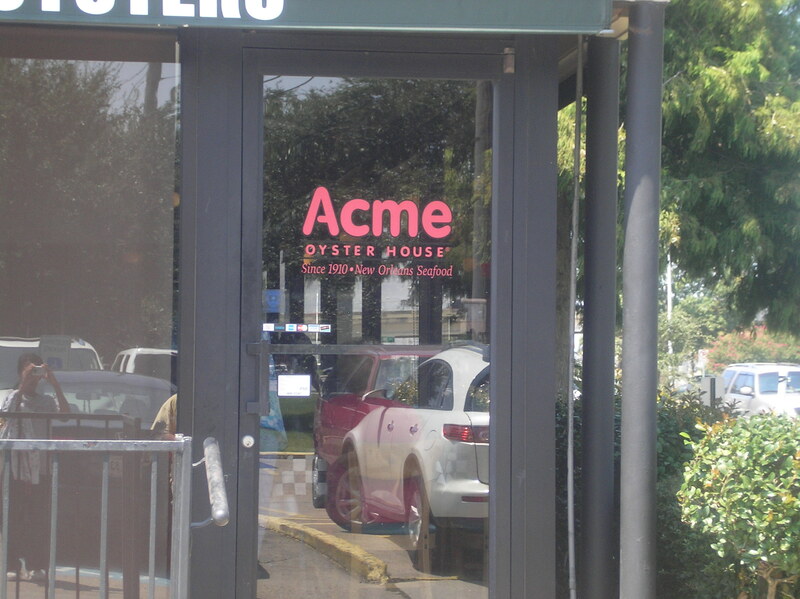 Acme Oyster House! 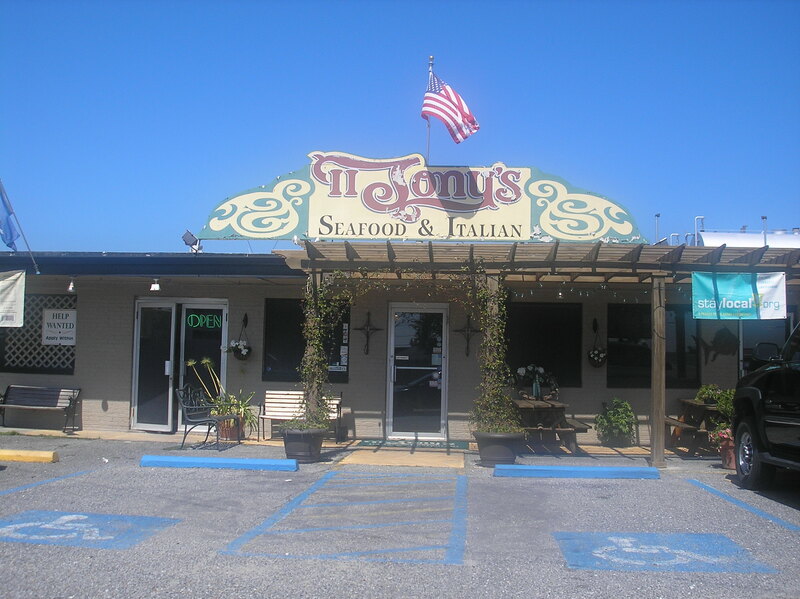 We went to the one on Veterans Blvd but, for anyone visiting the city, there’s also one a block behind Canal Street on Iberville. 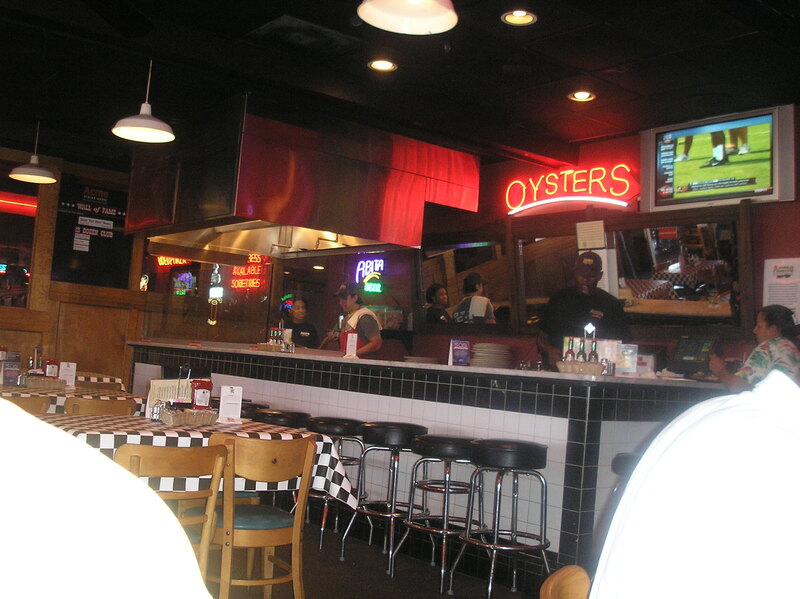 The place is really casual, the service was great and as you can see, the oyster bar is up and running for all you folks who like ’em raw. We got there before the lunch crowd so, folks were just arriving. I love this place. 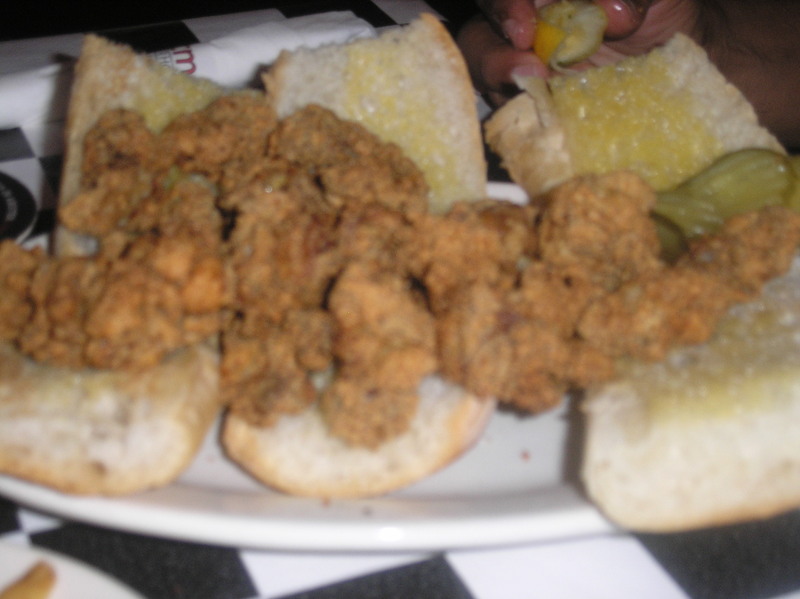 The only problem I had was, the price of the oyster sandwich….20 bucks!! 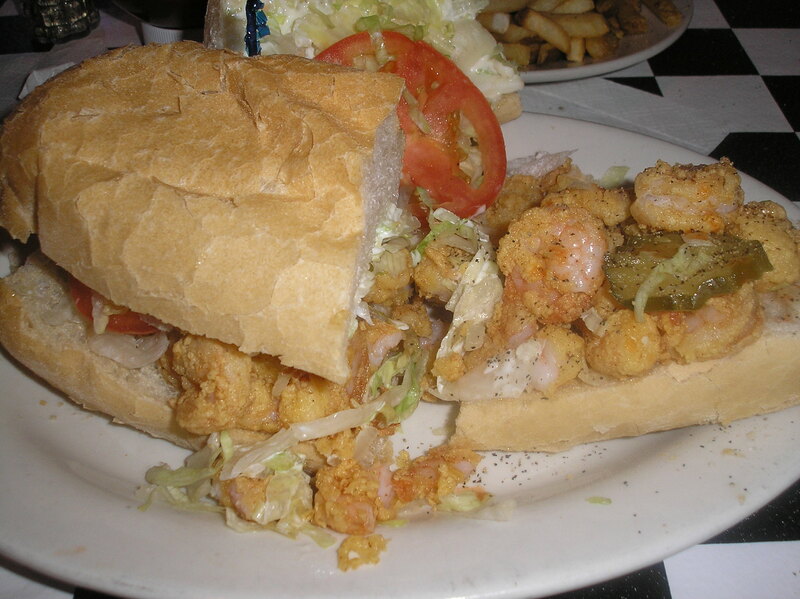 $20 for an oyster po-boy…here, in New Orleans!